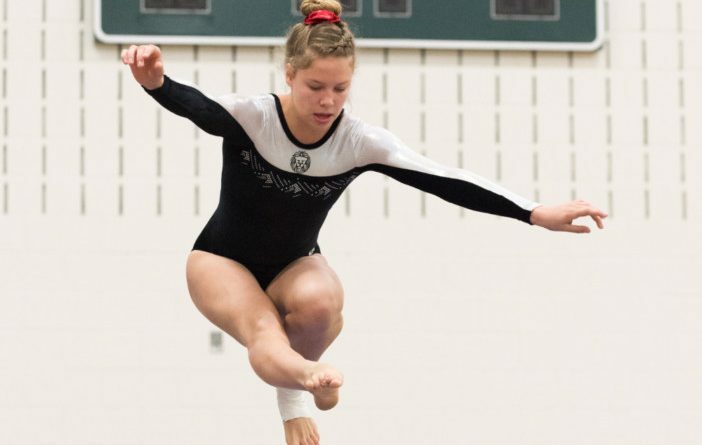 Heritage High School sophomore Riley Carroll led the Pride to a win in a five-team meet over Briar Woods, Park View, Potomac Falls and Stone Bridge High Schools on January 24 in Leesburg. Carroll turned in the top all-around score with a 36.050 while winning three of the four the individual events. Carroll scored a 8.650 on bars, a 9.075 on the beam and a 9.550 in the floor exercise. Briar Woods High Schools’ Sydney Donaldson placed first on vault with a 9.025. Donaldson’s teammate Emma Nocera (32.850) and Potomac Falls freshman Asia Acosta (32.800) rounded out the top three all-around performances.